Did you know that London gold bullion market virtually establishes the market price of gold all over the world? London gold bullion market is represented by the members of Gold Bullion Market Association like large international banks, bullion refiners and dealers. Twice per day at 10:30 am and 3:00 pm London time, the gold fixing procedure takes place that establishes the prices of gold for the day. There are five major banks that control not only the London gold bullion market but the gold market all over the worlds, namely, Societe Generale, HSBC, Scotia Moccata, Barclays Capital and Deutsche Bank. The first gold fixing procedure took place in 1919 and normally was taking several hours. Modern day gold fixing is handled very efficiently and takes mere minutes via a telephone fixing system. While London gold bullion market is vital in the establishing of the global gold commodity prices, the prices are also affected by many other factors like supply and demand, inflation, government policies, major political events and happenings. London gold bullion market is viewed as a guideline for major world gold trading. The trading at the London gold bullion market is done through two main type of gold accounts, namely, allocated and unallocated. The unallocated type is the most cost friendly and popular for everyday trading because it does not involve actual physical movement of gold. The trades are carefully recorded in the system by crediting or debiting members’ accounts. The allocated type of trades actually involves the physical movement of gold bars with proper recording of bars’ serial numbers and specifications. One should not confuse London gold bullion market with London Metal Exchange which is a major market place for trading gold and silver futures. 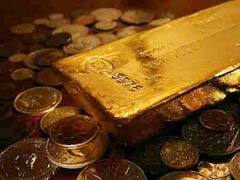 Would you like to learn more about gold bullion market in India? Scroll over to read one of our articles on this topic.